Tomorrow March 21, 2019 at 1400 hrs at Hibernia Firehouse. the YMCA will be providing a brief training for all who would like to participate in Firehouse Fridays. It was a great start last week and is a great opportunity for community involvement. If you are free and interested on helping out Local 302, the AFD, and the City Administration please attend. It will only take approximately 30 minutes. The IAFF Local 302 / AFD will be hosting a fundraising event at the Shanty on 19th to benefit the Pediatric Cancer Foundation of the Lehigh Valley. We will be selling our annual St. Patrick's Day shirt, holding a Chinese Auction / Basket Raffle, 50/50 raffle, and the Shanty on 19th will be donating a portion from each dinner check during the event. All proceeds from shirts and raffles will be donated to the Pediatric Cancer Foundation of the Lehigh Valley. Go to pcflv.org for more information about their organization. The raffle drawings will be held at 8:00 pm, but we will be there until 10:00 selling shirts, accepting donations, and enjoying food and drinks. David L. Kuebler, 87, of Allentown, passed away in his home on Saturday, November 3, 2018. Born in Allentown, he was the son of the late, C. Alfred and Aurelia (Grim) Kuebler. David was the loving husband of Maryrose (Rieker) Kuebler with whom he celebrated 59 years of marriage in June. He was a 1948 graduate of Allentown Central Catholic High School. David served his country honorably in the Navy during the Korean War onboard the USS Kerarsarge. He was a member of St. Paul's R.C. Church, Allentown. David was a firefighter for the City of Allentown for 36 years before retiring in 1995 and also a Master Electrician, self-employed Electrical "Conractor". Change/check your smoke alarm batteries when you change your clocks for Daylight Saving Time. and other accessories. Visit skirmish.com for pricing. Bring your own lunch or purchase food on site. to pay in cash or if you have any questions. The October Fire Prevention ceremony has been rescheduled for Wednesday, October 31, 2018. The ceremony will begin at 1000 and there will be a luncheon immediately following at the Allentown Golf Course Pavilion. All active, retired, friends and family are invited to both the ceremony and Luncheon. Hopefully, you will come out and support each other. Annual Greater Lehigh Valley Out of the Darkness Community Walk! When you walk in the Out of the Darkness walks, you join the effort with hundreds of thousands of people to raise awareness and funds that allow the American Foundation for Suicide Prevention (AFSP) to invest in new research, create educational programs, advocate for public policy and support or survivors of suicide loss. Thank you to our walkers and donors like yourself, AFSP has been able to set a bold goal to reduce the annual suicide rate by 20% by 2025. Monday October 8th,2018 the Allentown Fire Department will be holding it's Awards Ceremony and remembrance. Please come out to support all the people being recognized from both our membership and civilians. Retirees are welcome and I'm hopeful we will see you there. Immediately following the ceremony Local 302 will be providing a luncheon at the Allentown Golf Course pavilion. All members, family, and friends are invited. AFD is throwing a fundraiser with Jack Callahan's to raise money for Breast Cancer. We hope the public will join us to support such a good cause. A fun night for a good cause plus firefighters as guest bartenders!! Today Retired Battalion Chief Rick Schott is being honored as a Line of Duty Death at the Fallen Firefighters Memorial in Colorado Springs. Thanks for your service brother. Seventeen years ago, on September 11, 2001, 343 members of the Fire Department of the City of New York died in the terrorist attacks on the World Trade Center and Pentagon. AFD Breast Cancer Awareness Shirts are available. If you are interested please follow the direction on the form posted. Thank you to all of the Special Teams members who came out yesterday and helped with the successful event. It was everyone's expertise and professionalism that impressed our guests. We have had positive feedback and promising conversations. This shows how we are stronger together working as a Local and Department highlighting our skills and dedication to the City. Walton is planning to attend if anyone is interested contact him. Come join the American Red Cross and the Allentown Fire Department for our Community Blood Drive on July 27th from 10 AM until 3 PM at the Mack South Fire Station and Training Academy, located at 1902 Lehigh Street (Lehigh and Vultee Streets). All donors will be entered to win a gift card for Dunkin Donuts or Dorney Park & Wildwater Kingdom! On Thursday, March 22nd, 2018, a massive blaze broke out at the old Weaver Organ and Piano building in downtown York, Pennsylvania. After extinguishing the bulk of the inferno, York firefighters returned the next day to put out remaining pockets of fire. While battling hot spots that had the potential to spread to neighboring buildings, a portion of the building collapsed, claiming the lives of two York firefighters. The devastating loss of firefighters Ivan Flanscha and Zachary Anthony, members of York, PA Local 627 and the City of York Fire Department is being mourned throughout their community and across the IAFF. Flanscha and Anthony were the 12th and 13th members of the York Fire Department to be killed in the line of duty. The first since 1971. Their loss is a terrible reminder of the dangers firefighters face every time the alarm sounds and they are called upon to help their community. The York Professional Fire Fighters, IAFF Local 627 and the City of York Fire Department are accepting donations for the families during this very difficult time. Please, consider purchasing memorial gear in support of Zach & Ivan. Ten-dollars per item will be donated to the families. The City of York, York City Fire Department, and IAFF Local 627 announce the funeral and memorial services for York City Local 627 fire fighters Ivan Flanscha and Zachary Anthony. The public is invited to attend the Memorial Service for fire fighters Ivan Flanscha and Zachary Anthony, which will take place Wednesday, March 28th at the York Expo Center’s Memorial Hall. The time for the service will be from 1:00 p.m. to 3:00 p.m. Details on road closures, honor guard, pipes and drums, and apparatus staging to follow. More information will be found at the City of York website (yorkcity.org) and on City of York social media accounts. A private funeral service for family, friends, and members of the York City Fire Department for Fire Fighter Ivan Flanscha will be held Tuesday, March 27th at Living Word Community Church in Red Lion. A private funeral service for family, friends, and members of the York City Fire Department for Fire Fighter Zachary Anthony will be held Thursday, March 29th at Freedom Valley Church in Gettysburg. This year's East Egg Hunt will again be held at The South Mountain Reservoir on Saturday, March 24, 2018, at 11:00 am (Rain Date: Sunday, March 25, 2019, at 11:00 am). As always, this is open to all firefighter, EMS, friends, and family. Sign up sheet will be posted at Central Fire Station. Sign up by Wednesday, March 21, 2018. To get to the Reservoir, go south on S. 10th St. from Emmaus Ave. up to the top and follow the loop around until you see us in the field. Call me with any questions. I hope to see you all there. All proceeds donated will be used to assist deserving Allentown School District students with the necessities of a successful learning experience as well as a few rewards for jobs well done. IAFF Local 302 Allentown Firefighters would like to express our deepest condolences and offer our thoughts and prayers to the family and friends of Lt. Matt LeTourneau. Our thoughts are with the family and @IAFF22. Lt. Matt LeTourneau, 42, died after a collapse inside the building battling a row home fire in Philadelphia. you can if you will or will not be attending. If you will not know till that day, that’s fine. We are looking forward to seeing you again or for the 1st time and hope our event is as successful or more as last years' throw. If you would like to donate, we will take donations on that day. In the event of rain, snow or very bad weather - I will try to email everyone but please feel free to call or email me if you have a question. Cancellation date is December 22, 2017 at 1:00 pm. Parking will be available at Custom Diesel and Harry's U-Pull-It. Hot and cold beverages will be provided. Bring your gloves and your muscles!! 29' was the longest throw last year-WOW-good luck breaking that record!!! I know everyone thought the political season was over but it's not. Tomorrow Dec. 5th is the special election for the 133rd which was held by State Rep. Danny McNeill. Danny was a highly respected State Representative who was a champion for Labor and Public Safety Unions. Unfortunately he past away in September and now the anti union candidates are falling over themselves to win the seat. Danny's wife Jeanne McNiell recognizes how important it is, especially now, to continue Danny's advocacy for Pubilc Safety and Labor issues which is why she is running 133rd District Rep. seat. Her opponent is a devout anti union advocate and will absolutely go after Act 111 and Right to Work. We can not afford another anti Public Safety Union State Rep. to join the rest of them in Harrisburg. We need anyone who lives and votes in the 133rd ( Coplay, Whitehall districts 1-9 and 12, Salisbury wards 1,2, and 3 div.2, Bethlehem and Hanover Lehigh County, Catasauqua, and Fountain Hill) to come out and stop the the mounting attacks on our way of life. Vote for Jeanne McNiell Dec 5th. Blood Drive on December 1st from 11AM to 4PM at Mack South Fire Station. Please let your friends and family know that blood donations would greatly be appreciated. Toys for Tots are also being accepted at Mack South during this drive. Please make the holidays special for a child in need with a new toy. Any questions or if you are able to attend contact Brother Chad Ege at 908-399-4248. Cookies With Santa will be from 9:30 AM to 12 Noon on Saturday December 9th at the American Legion located at 1615 Sumner Avenue. Santa will arrive at 10AM and will be handing out presents in the form of coloring books and crayons this year. This is a real Santa (years of experience at Lights in the Parkway and the Lehigh Valley Zoo), not just Humesy dressed up as Santa. If anyone is able to bring cookies, that would be appreciated. Please contact Humes at 610-462-3443 with questions or if you are able to attend and/or bring cookies. In lieu of a sign up sheet, just text Humes if you are able to make it. Please feel free to invite friends and family this year as well. Happy holidays! Today is election day. Please share our candidates with your family and friends. These candidates are strong supporters of Firefighters and Public Safety. We all know how important the Courts and Local officials are concerning our issues. Today let's deliver the Lehigh Valley for those who will support us. Thank you all for your support. Together we are growing stronger in Pennsylvania. It is with deep regret that we announce the passing of retired Allentown Capt. Leon J. Gossman. Leon J. Gossman, 78, of Allentown, passed away Thursday, November 2, 2017 in the L.V. Hospital, Salisbury Twp. Born in Allentown, he was a son of the late Stephen C. and Cecelia M. (Tretter) Gossman. Leon was a firefighter for the City of Allentown for 33 years before retiring as Captain in 2000. After retiring, Leon worked at Home Depot on Lehigh Street. Leon was involved with several railroad associations, including Bucks Mont Train Club and was a volunteer at Steamtown USA in Scranton. He bowled in the United Church League for many years. Leon was an avid Phillies fan and was passionate about baseball. Survivors: Son: Michael T. Gossman and his wife Christine of Allentown and her children Joey, Isaac and Micalene; Sister: Maryann Eline of Allentown. Leon was predeceased by brothers Stephen J. and David Gossman. Services: 10:30 am Tuesday, Stephens Funeral Home, Inc., 274 N. Krocks Rd., Allentown. Call 7:00 – 8:30 pm Monday and 9:30 – 10:30 am Tuesday, all in the funeral home. www.stephensfuneral.com. Interment will be at 1 pm Wednesday at Cedar Hill M.P. It's that time of year again! The Allentown Fire Department is helping out the U. S. Marine Corps’ Toys for Tots drive. Please bring a new, unwrapped toy to your local firehouse or fire headquarters by December 12th. Thanks to everyone that can help out this holiday season! The Sticky Pig food truck will be on site. Beer and Food is on the 3rd platoon until the union funds run dry. This Saturday, September 30th from 10:00 AM to about 5:00 PM there will be a fundraiser and collection of goods to help support victims of Hurricane Maria in Puerto Rico. This fundraiser will be located at Trout Creek Park off Dixon Street in South Allentown. Many people are without food, shelter, communications, water, or safety and need our help. Brother Hector Rivera and friends will be collecting items to send down to assist his family and so many other families affected by this natural disaster. Nonperishable items such as canned foods, bottled water, and hygiene products such as toothbrushes and paper products are needed. All monetary donations are also very much appreciated. Let’s show some support to those in need through gathering some items and donating them to families in Puerto Rico. Any questions please call Hector Rivera at (484) 866-0010. The Schneck Family, friends, and members of Allentown Fire Department and Reading Fire Department will be walking in memory of our fallen brother, Matthew Schneck, in the Out of the Darkness Walk for Suicide Prevention. We welcome all that are able to come out and walk in memory of a terrific Firefighter and amazing person. The funds raised will go to suicide prevention, education, and support for loved ones. This will be a really special walk and we would love to have as much participation as possible. In addition, all donations of any amount would greatly be appreciated. All of the info is below. We're all thinking about our members in Texas and Louisiana who are on the frontlines of Hurricane Harvey helping communities and their citizens knowing their own homes and possessions may be lost. The best way you can assist your brothers and sisters is through the IAFF Disaster Relief Fund, which provides short-term, immediate financial assistance to IAFF members affected by major disasters. Donate today with a tax deductible contribution online or by texting DISASTER to 50555* to make a $10 donation. Dystrophy in collaboration with the MDA on Friday September 1st. Local 302 members to make this event very successful. questions. You can reach Humes at (610) 462-3443. It is with deep regret that we announce the passing of retired Allentown Capt. Matt Schneck. Matt started his long distinguished career in public service as a sailor in the United States Navy. 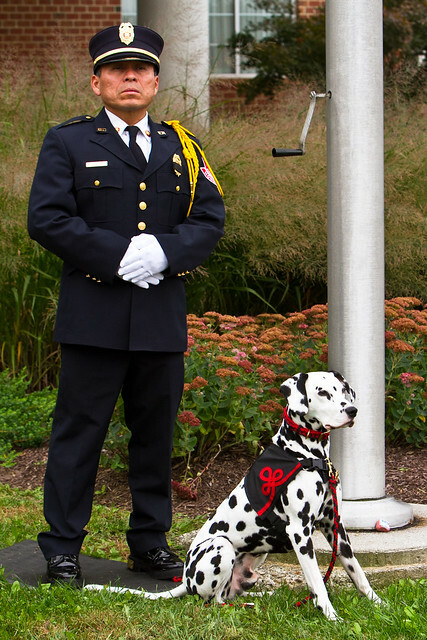 Afterwards, he continued by serving as a Firefighter for the City of Allentown, retiring as a Captain. He didn't stop there. After his retirement, Matt went on to continue his service as a Firefighter for the City of Reading. It is with deep regret that we announce the passing of retired Allentown Lt. John F. Scheirer. John F. Scheirer, of Allentown passed away on June 21st at the age of 78. He was born in Allentown to the late Frederick and Catherine (Ferry) Scheirer and was predeceased by his wife Iris "Tiny" Scheirer and his daughter Jean Marie Scheirer. John was a Lieutenant Fire Fighter for the City of Allentown for 33 years, retiring in 2001, and had been a member of Immaculate Conception Catholic Church and Local 302 of the International Fire Fighters Association in Allentown. Survivors: Sons: Frederick J. and wife Linda, Gregory P. and wife Linda, Roger W. and wife Roxanne, Robert C. and wife Michelle, and Michael J. and wife Debra. Daughter: Rosemary Scheirer. 14 grandchildren and 12 great-grandchildren. Sisters: Sheila Demeter and Sister of St. Joseph Rosemary Scheirer. Services: A viewing will be held on Sunday, June 25th from 6:00-9:00PM and on Monday, June 26th from 8:00 until 9:15AM both at Weber Funeral Home 502 Ridge Ave, in Allentown. To be followed by A Mass of Christian Burial at 10:00AM at Immaculate Conception Catholic Church. Contributions: Contributions: In Lieu of flowers please give to St. Jude Children's Research Hospital in memory of John. Battalion Chief Richard J. Shott served as a member of the Allentown Fire Department from May 31, 1975 until December 10, 2011. He passed away on December 17th, 2014 from occupational cancer. The Commonwealth of Pennsylvania and the International Association of Firefighters have acknowledged Rick’s death as being in the Line of Duty. On October 9th, 2017 at 0900 IAFF Local 302 and the City of Allentown will be memorializing his death during the annual awards and memorial ceremony to be held at The Scottish Rite Center. This ceremony will include the placement of his name on the memorial sites located at Mack South and West end Fire Stations. Ronald E. Schuler 79, of Allentown, passed away on Friday, June 9, 2017. Ron was the husband of Elizabeth A. (Brucker) Schuler and they celebrated 57 years of marriage this past October. Born in Catasauqua, he was a son of the late Edwin Steiner and the late Isabelle Schuler. Ron was an Allentown Fire Fighter for 18 years prior to his retirement. Previously he worked in the machine shop for the former Bonnie Forge in Allentown. He was a member of St. Joseph the Worker Church in Orefield. Ron was a heart recipient at Hershey Medical Center (19 years), and a kidney recipient at Lehigh Valley Hospital (7 years). He was a member of the Cetronia Fire Club, and the Hogan's Club of Allentown. Survivors: Surviving with his wife is his son Jeffrey of Allentown, and his daughter Rhonda J. Schuler of Allentown. His brother Theodore Steiner and wife Paula of Whitehall, and his sisters; Jayne Erie of North Catasauqua, and Karen Marcks of Macungie. Ron's grandchildren are; Jessica Connell, Mackenzie Schuler, and Mason Schuler. He was preceded in death by his son Steven S. Schuler in 2011. Services: A Mass of Christian Burial will be celebrated on Wednesday, June 14, 2017 at 11:00 am in Our Lady Help of Christians Church Allentown. Calling will be from 9:00-10:50 am in the church. Contributions: In lieu of flowers contributions may be made to Our Lady Help of Christians, or the American Heart Association . Arrangements entrusted to the O'Donnell Funeral Home, Allentown. It is with deep regret that we announce the passing of retired Allentown FF Douglas R Young. He served the AFD from 1968-1996 and retired as driver of E11. There will be no local service for Douglas. Come on out and meet Emil Giordano a (R) candidate for Superior Court. He has been endorsed by Local 302, Local 735, Allentown Fop lodge 10 and the PPFFA. Bring your families, all are welcome. Allentown's firefighters made a public plea to City Council to invest in new firetrucks, saying an equipment shortage has reached a "crisis" level. Keith Pierce, the city fire department's safety representative, said that as of this week, all of the city's reserve fire equipment has been moved to the front line because of breakdowns with other gear. If one more fire truck breaks, the city will be forced to respond to fires with pickup trucks, Pierce said Wednesday. Watch President Warmkessel' s WFMZ Interview Tonight! Watch Local 302 President Jeremy Warmkessel speak with WFMZ regarding the recent Pennsylvania State Supreme Court decision. The interview will be aired starting at 5pm tonight. Supreme Court Case regarding shift staffing is in. Attorney Quintes Taglioli has successfully litigated that shift staffing is a matter of collective bargaining. The Executive Board is extremely pleased with the decision and how it will affect other Locals in the State. Stay tuned for more info! Watch last weeks Allentown Mayor Debate on WFMZ at 1930 on March 27th and April 3rd. It is with great sadness to announce the Line of Duty Death of Harrisburg Local 428 Brother Dennis DeVoe. Lieutenant DeVoe succumbed to injuries that were sustained from a vehicle accident while responding to a house fire on March 10th. Denny leaves behind his wife, four children, his mother, and many other family and friends. We were on the ground immediately with PPFFA Leadership in Harrisburg assisting the DeVoe Family and the members of Harrisburg Fire Local 428. The members of HFD and Denny's Company, Squad 8, have been extremely grateful for the outpouring of support from Fire Fighters across the region. A Fire Department Memorial Service will be held at the Pennsylvania Forum Auditorium (500 Walnut Street, Harrisburg, PA 17120 at 1:30PM. Fire Apparatus should be staged no later than 11:15AM at Harrisburg Reservoir Park (100 Concert Drive, Harrisburg, PA 17103) and fall in with the procession as it moves toward the State Capitol. Uniformed Personnel and Honor Guard participants are requested to assemble no later than11:15AM at the Pennsylvania Capitol steps (3rd and State Street). Pipe and Drum Corps should arrive at the Pennsylvania Forum Building no later than 10:00AM. Final details for assembly, routes and other pertinent information will be forthcoming. In lieu of flowers, the family requests that contributions be made to 24-7 Commitment, whose mission is to provide resources that strengthen and encourage the marriages and families of firefighters. Other expressions of sympathy or condolences for the family or the Local can be sent to IAFF Local 428 at 2048 Derry Street, Harrisburg, PA 17104; phone (717) 221-8700. We ask you to continue to keep Denny's family and the members of IAFF Local 428 in your thoughts and prayers during this extremely difficult time. We will provide additional information as soon as it becomes available. Tee shirts are in. All tall orders are delayed and should be in by the 15th. Brother Heckenberger has extras for sale. AFD members can wear the Tee shirts on March 13th through the 20th while on shift. It's that time of the year again! Local 302 is selling long and short sleeve tee- shirts to raise money for charity. The shirts will be gray with the normal IAFF logo on the front and a Maltese cross on the back with a clover. Screen print will be Kelly green. All money will go to LCYA (Lehigh County Youth Association). There will be individual order forms with directions attached to this e-mail. If you would like to place an order ask your station officer to print you the form. All order forms must be sent with cash or check (payable to Local 302) to Heckenberger by Wednesday March 3rd 2017. Any questions contact Heckenberger at the Hibernia on the 2nd platoon, 484-239-2606, or hecky6@gmail.com. Ticket gives you entry to battle of badges game and royals game at 5pm. Fast track legislation aimed at destroying our Union!! Once again we are under attack by forces that are out to destroy our Union and he ability to fight for our livelihoods. Senator John Eichelberger (R, Altoona) has once again introduced legislation, Senate Bill 166, that would cripple us by denying the us the right to use voluntary dues deduction or portions of normally collected dues for legislative action. The effects of this legislation, if enacted, would make it virtually impossible for us to use any funds from our members to defend our rights from political attacks. Attached to this email is a letter pointing out some of the more significant issues with SB 166. Please have your membership contact their state Senators and ask them to oppose SB 166. We need to unleash all that we can on this legislation. Have your members call regional and state offices and have them email the Senators as well. Here are two upcoming events for Local 302 members. Dom's Wolfpack will be howling together on April 1st for a 5k walk and an 8k run. Get your "HOWL" on and sign up under the team Dom's Wolf Pack by going to www.runsignup.com. Search for 5K Walk/8K Run to Live and choose team Dom's Wolf Pack. Please contact Alyssa or Jody (610-217-2021) with any questions or to sign up. This is a great cause and it would be great to have a nice turnout of 302 brothers. Local 302 has been invited to the MDA's Black and Blue Ball. This event will be taking place on Sat, March 4th and will be held at the Holiday Inn in Fogelsville. We have been offered 10 seats. Each seat is valued at over 200 dollars but we will not have to pay that price. In lieu of the 200 dollars we are asked to bring 2 bottles of liquor/wine per seat. Wives/girlfriends are welcome. Priority will go to members who have assisted with MDA events. Please contact Humes with questions or to sign up. 610-462-3443. Due to the New Years Day and the MLK Holidays, the regularly scheduled monthly meeting of I.A.F.F. Local 302 will be held on. Come join us for the meeting on the 23rd for the swearing in of our 2017 officers and to thank President John Stribula for his 20 years as our President. Food and refreshments will be provided. Reminder! Sunday December 11th from 11am to 2pm Santa will be on hand to bring holiday cheer to our membership's family. Please bring your children, grandchildren. nieces and nephews. This event is for retired and active members and their families. It has now been opened up to friends of members as well! Sign-up sheets are posted in each firehouse to indicate number of children attending. Santa will be handing out a small gift to each child. This event will take place at the American Legion on Sumner Ave where we have our Union meetings. I am also looking for some wives or members to make cookies for this event. Please contact Humes at 610-462-3443 if able to help or with questions. It is with great sadness to announce the Line of Duty Death of Wilmington Local 1590 Sister Ardy Hope. Senior Fire Fighter Hope succumbed to injuries that were sustained while fighting a house fire on September 24th, an incident that also claimed the lives of Wilmington Brothers Christopher Leach and Jerry Fickes. Ardy valiantly fought her injuries for nearly ten weeks at Crozer Hospital Burn Unit outside of Philadelphia. She leaves behind her three daughters, her sister, her mother, and many other family and friends. The viewing and services are open to all fire fighters, first responders, friends and the public. Doors will open at 9:00AM. This is the only event for departments to stage apparatus as part of a static display of honor. Please note, there may be extra security procedures that will require an earlier arrival time. Former Fire Chief David Novosat has suffered a stroke earlier this month (November), and his family is asking that you keep him in your thoughts and prayers. Former Chief Novosat was out hunting earlier this month and came home to his wife indicating he was not feeling "right". Over the next day with no improvement he went to Lehigh Valley hospital where it was determined that he was having a stroke. He is presently recovering in the Jaindl wing of the hospital and is accepting visitors. The City of Allentown Fire Department Awards Ceremony and Memorial Service to kick off October as Fire Prevention Month will be held at the Scottish Rites Cathedral, 1533 Hamilton St. Allentown PA, 18102, on 10-Oct-2016 at 10:00 AM. Awards will be presented to many outstanding firefighters for their bravery and dedication. Additionally, the Firefighter of the Year will be named as well as the recipient of the Alfred W. Fischl Firefighter Service Award. Individuals and organizations within the community will be recognized with service awards for their involvement with regards to fire safety over the past year. Certificates of Appreciation will be presented to local businesses identifying them for their support toward the Allentown Fire Department. During this ceremony, we will also be recognizing Allentown’s deceased firefighters over the past year. Early Saturday morning, two Wilmington (DE) Fire Fighters were tragically killed while fighting a fire in an attached row home. Additionally, four other Fire Fighters were burned, two of them critically. 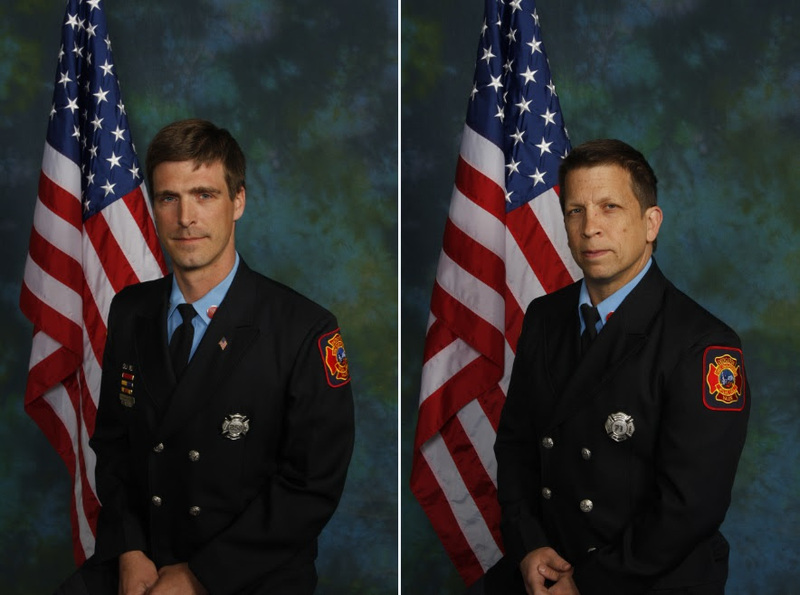 Lieutenant Christopher Leach, age 41, and Senior Fire Fighter Jerry Fickes, age 51, were both killed when the floor collapsed beneath them during the initial fire attack. I was on the ground in Wilmington on Saturday morning immediately assisting President Bruce Schweiger and the members of Local 1590. I also had a somber opportunity to visit the incident scene and meet with the affected families to extend our full support and condolences on behalf of our entire membership. The IAFF has deployed AGP Pat Morrison, Director Jim Brinkley, and Director Mark Treglio to assist with funeral planning, communications, and peer support for our members. We are also bringing in resources from our Burn Foundation to assist our members, and their families, who will require extensive stays in the Crozer Burn Center outside of Philadelphia. Separate funeral services will be held for Brothers Leach and Fickes. Those services will be private and limited to family, friends, and members of the Wilmington Fire Department. Additionally, the Wilmington Fire Fighters Association has established an online fundraising pageto support the families of our fallen Brothers. I ask each of you to please consider making a contribution to this effort. I would like to thank all of our members from across the District who have reached out to offer support. Please continue to keep the Leach Family, Fickes Family and the members of IAFF Local 1590 in your thoughts and prayers. Additional information will be provided as it becomes available. Stay safe. Click HERE to contribute to the GoFundMe Account for Brothers Leach and Fickes. Allentown administrators and the city's firefighters union disagree on who should determine the number of firefighters at work at any given time, and on Tuesday the question was before the Pennsylvania Supreme Court. During arguments in Philadelphia, a lawyer for the International Association of Fire Fighters Local 302 told the justices that staffing level is a safety issue open to negotiation. It was correctly set at 25 per shift by an arbitration panel after the city and firefighters reached an impasse in contract negotiations in 2011, attorney Quintes Taglioli said. But the administration contends that decision infringed on Allentown's right to manage the services it provides to ensure efficiency and work within its budget. The requirement under the firefighters' previous contract to have 30 people on each shift and call in replacements for those who called out sick cost the city about $1 million a year in overtime, attorney John McLaughlin told the justices. That contributed to skyrocketing retirement costs because pensions are based on an employee's overall earnings, including overtime, the city contends. Many of you have been following the budget crisis that has been building in Petersburg, Virginia for some time. The situation has reached a tipping point and the city is proposing 17 layoffs and the closure of a station. Furthermore, the Petersburg Fire Department has already had their new SCBA confiscated by the vendor and they are now at risk for the same to occur with their Personal Protective Equipment. On Thursday, September 1st, we held a press conference to alert the residents and business owners of Petersburg to this looming public safety crisis. On Tuesday, September 6th we will be holding a rally at the Petersburg City Council Meeting to continue our fight against layoffs and unsafe working conditions. Please feel free to contact me directly or VPFF Scott Spencer at sspencer@vpff.org with any questions or concerns. We hope to see many of you on Tuesday evening. Thank you and stay safe! There will be a dine and donate fundraiser for the Pediatric Cancer Foundation of the Lehigh Valley on Sunday 9/25/16 from 4:00 to 8:00 PM. It will be at the 1760 House in Trexlertown and 15% of all food proceeds will be donated to the Foundation. This event was brought to the Local's attention by brother Jody Mongilutz. The more guys that can come out, the more kids we can help. Come out for a brew and dinner and assist in the fight against childhood cancer! Brother and sister firefighters, its time again for the annual golf tournament. This year Hazleton City Local 507, is hosting the event. The tournament will take place on Wednesday, September 14, at the Edgewood in the Pines Golf Course, 22 Edgewood Rd, Drums PA 18222, their web site is www.edgewoodpinesgc.com. The tournament will be a shotgun start at 10 AM o’clock. A cocktail hour, dinner and then 3 hours of open bar, will follow at the golf course. Format will be a captain and crew. July 9, 2016 9:30 P.M. It is with deep regret that Local 302 announces the passing of Retired Firefighter Mike McFarland. Mike started in the Allentown Fire Deparmtent on January 13, 1986 and Retired as a Lieutenant January 16, 2008. Shortly after completing his apprenticeship program in January of 1989, Mike excercised his bidding rights and bid to the position of Driver of Engine 9 at the Central Fire Station. Among other bid positions in the rank of Firefighter, Mike concluded his firefighter rank on Engine 15 at the West End Station. He tested and was subsequently promote to the position of Fire Specialist on September 18, 2000. Mike spent the requesite two-years in rank and was promoted to the position of Lieutenant on February 21, 2003, starting as a Lieutenant on Engine 14. Mike eventually finished his 22-year career as a Lieutenant at the West End Fire Station. Beyond all his position and ranks, Mike, to most, can fondly be remembered for his sardonic wit. He had a dry-humor that, after he delivered his one-liners, you had to wait for awhile for Mike to deliver his next line to figure out if he was kidding or not. Much to the delight of onlookers, many a rookie didnt know to wait for Mike's next line, only to find themselves on an opposite side of Mike's position where a very firefighter friendly discussion would ensue. Journeyman versus rookie? Mike won in Ali style. After retirement Mike could be found at the Pension Men's picnic or pretty much anywhere on his bike with his High School and Firefighter Friend. Funeral Details to follow as they become available. Congrats to Allentown FD Arson K9 Judge on winning Top Arson K9. Keep voting for him so he can win Top Hero Dog. On May 26th, 2016 Local 302 Allentown Firefighter's played two 10 minute volleyball games against the Harrison Morton staff and students. Before the game Harrison Morton Principal and students thanked the Firefighters for raising over $2700 to help pay for a new score board. Gerald E. Miller, 79, of Bethlehem passed away peacefully on May 26, 2016 at Lehigh Valley Hospital, Salisbury Township surrounded by his loving family. He was the husband of Sandra (Walters) Miller for 59 years. Born in Allentown, he was the son of the late Dewey Jay and Beatrice (Faux) Miller. Gerald served as an Allentown firefighter for 20 years before retiring. His years as a firefighter and time spent with family was a great source of pride and joy. Understand your cancer risk, know the exposures to carcinogens on the job and reduce your risk of occupational cancer with the new IAFF fire fighter cancer awareness and prevention training course. This new resource, developed in conjunction with the Fire Fighter Cancer Support Network, is designed to help members avoid and decrease individual risk factors for cancer. Start the cancer awareness and prevention training course. Allentown Fire Chief Lee Laubach has announced the promotion of Battalion Chief Jim Wehr to the position of deputy fire chief. Wehr is in his 22nd year with the department. He was the 2009 Firefighter of the Year. When he was honored as Firefighter of the Year in 2009, Deputy Chief Wehr served in the Central Fire Station office. He was cited for his professional manner, work ethic and flawless and timely handling of administrative duties. He had recently assumed command of the department’s dive team. Wehr was also recognized with a Certificate of Appreciation for his assistance in fund raising through extracurricular activities. Deputy Chief Wehr also earned the Alfred W. Fischl Firefighter Service Award in 2014. The award is presented to an individual who has served the department for at least 20 years and has exemplified himself with consistent and dedicated work habits during that period. As Deputy Chief of Operations, Wehr is second in command in the department. Among other things, the Deputy Chief of Operations supervises and evaluates assistant chiefs, battalion chiefs, captains, lieutenants, fire marshals and firefighters assigned to the division as well as being responsible for all personnel and apparatus assigned to the department. Wehr joined the department in 1994. He was promoted to Fire Specialist in 2005, later promoted to Lieutenant in 2006 and was promoted to Captain in 2010. He was promoted to Battalion Chief in 2012. The September 11th National Memorial Trail Alliance is having a bike ride that will be coming through Allentown on Friday Sept 18th. This bicycle ride started at the Flight 93 National Memorial (Sept 10th) and will be ending up in NYC at the 9-11 Memorial (Sept 21st). You are invited to join in a leg of the ride if interested. See attached link for details. Also it would be nice if some guys would come out to support the riders. At 7pm on this Friday, Sept 18th, the riders will be gathering at the Allentown Brew Works. Feel free to come and meet them and enjoy a fun night. Vrablec, Nicholas P.Nicholas P. Vrablec of Whitehall died August 28, 2015. He was the husband of Grace J. Vrablec. Born in Allentown, he was the son of the late Emerich Vrablec and Mary (Kralik). He honorably served his country as a member of the United States Marine Corps during the Korean War. Nick was a Fireman for the City of Allentown for 28 years and he retired in 1994. He was a member of St. John Slovak Baptist Church. Survivors: In addition to his wife Grace, son Mark of Davenport, Iowa and wife Janice, daughter Mary and husband Alphonse Rivera of Whitehall, 4 grandchildren Laura and Adam Vrablec, and Aleyah and Maria Grace Rivera. Sisters Valeria Bernardo of Jacksonville, Florida and Mary Ann Reese of Fountain Hill. He was predeceased by 4 sisters and 1 brother. Had a fun day with great kids, fishing at the MDA summer camp. Want to thank Reed Custer and Zac Shepard for helping out over the last 2 days. It is with deep regret to announce the passing of Retired Battalion Chief Robert Dudding. The services for retired Battalion Chief Robert Dudding will be held at Trexler Funeral Home 1625 W. Highland St. On June 5th. Calling hours are from 930 to 1030 followed by a service given by our department Chaplain, the burial will follow and is at Resurrection Cemetary on Krocks road in Wescosville. The family is requesting both Honor Guard and Pallbearers anyone interested contact Capt Christopher or BC Held. M.D.A. Boot Drive a big success! May 22nd Boot Drive was a huge success. In just 3 hours Local 302 Brothers raised $3925.30 despite braving a 20 minute rain shower! I would like to start off by thanking Mike Humes for setting up this great Boot Drive.Chief Laubach for allowing us to use Department Apparatus to shadow our guys in the street. Robert K. Marsh, 90, of Allentown, passed away Tuesday, March 3, 2015 in his residence. He was the husband of Shirley M. (Roth) Marsh. They celebrated their 58th wedding anniversary in May 2014. Born in Allentown, he was a son of the late Arthur D. and Shirley W. (Gollmer) Marsh. Bob was a World War II veteran, serving with the Coast Guard and was a member of American Legion Post #576, Allentown. "Swampy" was a fire fighter with the City of Allentown for over 25 years before retiring in 1984 and was a member of I.A.F.F. Local #302. Bob also worked part-time at Haines Exxon for the past 30 years. He was a member of Asbury U.M. Church, Allentown, where he served as a greeter. Mr. Marsh was a member of the Tri-Boro Sportsmen's Club and was an avid hunter. He was also an avid snowmobiler and was a member of the PA State Snowmobilers Assoc. Bob enjoyed ice-fishing and traveling. Survivors: Wife; Daughter: Karen M. and her husband Frank "Tim" Alexa of N. Whitehall Twp. ; Grandsons: Ryan and Jared; Sister: June F. Campbell of Orefield. Robert was predeceased by a brother William H. and a sister Betty J. Appel. Services: 10 am Saturday, Stephens Funeral Home, Inc., 1335-37 Linden St., Allentown. Call 7 - 8:30 pm Friday and 9 - 10 am Saturday, all in the funeral home. www.stephensfuneral.com Contributions: Asbury UM Church, 1533 Springhouse Rd., Allentown 18104 OR IAFF Local #302 Welfare Fund, 723 W. Chew St., Allentown 18102. **We need 14 members for Honor Guard. Place: Stephens Funeral Home, Inc.
I.A.F.F Local 302 would like to Congratulate Lee Laubach on being sworn in as the New Fire Chief of the Allentown Fire Department. In the Allentown City Council chambers Lee Laubach was sworn in as Allentown's newest fire chief Friday. Laubach, is a 21-year veteran of the fire department, He joined the department in 1993 and was promoted to fire specialist in 2002 and then lieutenant in 2006. He was then promoted to fire marshal in June 2008 and was named captain of public affairs a year later, serving as the department's spokesman. Before being named deputy chief, Laubach was assistant chief of fire prevention. It is with deep regret to announce the passing of Retired Deputy Chief Richard J. Shott. Rick passed away at his home, on December 17, 2014. He was 60 years old. Rick was born on May 20, 1954. He attended Allentown Central Catholic High School and started in the Fire Department at the age of 23 on May 31, 1975. As a firefighter, he worked for the City of Allentown for 36 years, reluctantly retiring on December 10, 2011. Throughout his 36 years of Service, Rick moved up the ranks of the Fire Service, from Firefighter to Lieutenant to Captain to Deputy Chief. (title changed to Battalion Chief). Rick was instrumental in establishing and training Allentown Firefighters to be qualified technicians on their Self Contained Breathing Apparatus (SCBA). As a "Scott Technician", in addition to saving the City hundreds of thousands of dollars in maintenance costs, Rick's commitment was to insure that the Firefighter's breathing apparatus were not only safe, but were complete with the most advanced safety features. Rick loved his family, the City of Allentown, its residents, and the Fire Department. Though he had many work qualities, Rick's most enduring quality is that even in the most dangerous of situations, he knew how to safely and efficiently command firefighters, and even more importantly, the firefighters who worked under him knew that Rick would always ask a lot from you, but you always knew you were safe with him. Rick is survived by his wife Jeannie and three children. Funeral arrangements will follow as they become available. The date has been set for services for Rick Shott. The date will be January 17th, calling hours are from 0800 till 0930. The location will be Schlisler Funeral Home, 2119 Washington Ave. Northampton followed by a Mass at 1000 at St. Nicholas Catholic Church, 4412 Mountain View Dr. Walnutport. Graveside service immediately following the Mass at St. Nicholas Cemetary directly behind the church. Rick was a supporter of St. Judes Childrens Research Hospital and a "tribute" has been set up in his name, anyone wishing to make a contribution the "tribute" number is 37331864 at www.stjude.org . Joseph (Joe) Glose was born on July 10, 1937 in Allentown, PA to his parents Harold and Dorothy Glose. He passed away on November 1, 2014 in Ft. Myers, FL. Joe is survived by his loving wife of 57 years Madeline; children Christine (Scott) Griesemer, Kenneth (Jill) Glose, Glenn Glose, Scott (Ruth) Glose, and Terry (Michelle) Glose; 15 grandchildren; and 10 great grandchildren; brothers Wilson (Reds) and Tom Glose. Joe is preceded in death by his parents and his brother Jerry Glose. Joe was a firefighter with the Allentown Fire Dept., in PA until his retirement in 1993. Joe and Madeline retired to Fort Myers in 1994. He enjoyed fishing, boating, playing shuffle board, and most of all spending time with his family. A Memorial Service will be scheduled at a later date in PA. In lieu of flowers please make a donation to the American or to the in memory of Joe. Please visit www.harvey-engelhardt.com to leave condolences to his family. It is with deep regret that Local 302 announces the passing of Firefighter Marcus V. Keller. Marcus V. Keller, 86, of Cedarbrook, South Whitehall Township, formerly of Allentown, passed away quietly on Tuesday, April 8, 2014. He departed in the presence of his wife of 55 years, June A. (Parton) Keller at the Hospice House of the VNA of St. Luke’s, Bethlehem, and entered the presence of the Lord. He was a son of the late James A. Keller, Sr. and Carrie M. (DeWalt) Keller. Marcus served in the U.S. Army Corps of Engineers in Germany during the Korean War. He was an automobile mechanic. Marcus joined the Allentown Fire Department in 1962 and served as a Fire Alarm Operator and Firefighter for 24 years. He was a member of Faith Evangelical Free Church and served as an usher and member of Seniors in Action. Survivors: Wife; Son: Glenn M. Keller; Nieces and nephews. Marcus was predeceased by brothers Warren and George, and sister Carrie (Keller) Billman. Services: 10:30 am Tuesday, Stephens Funeral Home, Inc., 1335-37 Linden St., Allentown. Call 7 – 8:30 pm Monday and 10 – 10:30 am Tuesday, all in the funeral home. www.stephensfuneral.com. Interment, Greenwood Cemetery, Allentown. Contributions: May be made to: Local 302 Welfare Fund, c/o IAFF Local 302, 723 W. Chew St., Suite 302, Allentown, PA 18102-4058. Last Alarm For Herbert L. Ring, Sr. It is with deep regret that Local 302 announces the passing of former Deputy Fire Chief Herbert L. Ring, Sr..
Herbert L. Ring, Sr., 81, of Allentown, passed away Feb. 24, 2014 at the Hospice House of the VNA of St. Lukes, Bethlehem. He was the loving husband of Mary A. (Seng) Ring, for the past 60 years. Born in Allentown, he was a son of the late Julius L. and Theresa A. (Pach) Ring. Herbert was employed by the City of Allentown as a fire fighter for 39 years until his retirement in 1995 as Deputy Fire Chief. Survivors: Loving wife; daughters, Therese wife of Robert Bitler of Chandler, AZ and Kathleen wife of Shawn Habrial of Bethlehem; son, Daniel Ring and his wife Renee of East Texas; daughter- in-law, Kathleen Ring of Bethlehem; brother, Robert Ring and his wife Lucille of Allentown; 12 grandchildren and 7 great grandchildren. He was predeceased by a son, Herbert L. Ring, Jr. in 2010 and 7 siblings. Contributions: May be made to the American Lung Assoc ., 2121 City Line Road, Bethlehem, PA 18018. The PA State Capitol came alive today as I have never seen it. Unions members of every shape and size came together in an amazing show of solidarity. Our PPFFA members came from across the state, from Locals large and small to engage in what we are seeing as a battle for our very survival. Our troops, veteran and rookie, showed what emergency responders are made of. The officers and staff of the PPFFA proved, once again, that they have what it takes to enter a campaign. The forces that have launched this attack against us have tried to beguile us with their propaganda into believing that these legislative initiatives won't affect our members. These unwarranted attacks are not going to stop anytime soon. What our opponents fail to realize is that we fight everyday for our lives and of the lives of those we're sworn to protect, 24 hours a day, seven days a week, 52 weeks a year. We put our lives on the line every time we step into that station. We cover each other's backs day in and day out, week after week and year after year. If you want to hurt one of us, you want to hurt all of us. These special interest groups hide behind a false mask of moral righteousness, and that is the thing that is most repugnant about them. No matter what they say, no matter what they do they will not prevail. Brothers and Sisters, what I saw today was amazing, for those of you who turned out, thank you. For those of you showing your support from home thank you. For those of you who put it on the line each and every day, thank you. We will not be bought, we will not be threatened, we will not be brushed aside, we will never give up and we will NOT be defeated. The Toledo firefighters who died after fighting a fire in North Toledo died of thermal burns and exposure to carbon monoxide, an autopsy showed. Stephen Machcinski, 41, and James Dickman, 31, were fighting a two-story apartment fire at 528 Magnolia St. on Sunday afternoon when they became lost. The two were eventually pulled from the burning building by their fellow firefighters and taken to Mercy St. Vincent Medical Center where they were pronounced dead. The autopsies were performed on Monday by Lucas County Deputy Coroner Dr. Cynthia Beisser. Toxicology results are pending. Officials have concluded a press conference, providing some additional information about the fire that claimed the lives of Toledo firefighters Stephen A. Machcinski, 42, and James Dickman, 31. Fire Chief Luis Santiago asked for privacy for the families of the men. Dickman leaves behind a wife and two young children, Machinski is survived by his parents and a sibling. It is with deep regret that we announce the passing of Deputy Fire Chief Ronald E. Wentzel, Jr. Chief Wentzel served as a 1st Deputy Chief with the Reading Fire Department since December of 2010. Previously, he served as the department training lieutenant & with Rescue 1 on the "C" platoon. Chief Wentzel dedicated more than 24 years of service to the Reading Fire Department. Chief Wentzel impacted countless number of lives as a public servant in the police, fire, and emergency medical fields for over four decades throughout Berks County. Chief Wentzel’s knowledge and expertise in public safety extended nationwide as a local-level fire instructor with the Pennsylvania State Fire Academy, a member of the NHRA Safety Safari, and a member of the East Central PA Incident Management Team. A second viewing will be held at the Kuhn Funeral home on 01/17/2014 from 0800-1000 prior to the memorial service. A procession will occur from the funeral home to the church. A memorial service will take place on 01/17/2014 beginning at 1100 at the Advent Lutheran Church located at 16 Telford Ave. in West Lawn. Final internment will be at the Pleasant View Cemetery located on Fritztown Rd. in Spring Township. At the conclusion of the memorial service, a procession involving fire department, police, and EMS vehicles will transport Chief Wentzel to his final resting place. Individuals and/or organizations from public safety agencies that are planning on attending as an organization and bringing apparatus to the services, please click here for information relative to the services. **Because Chief Wentzel has impacted so many lives, it is anticipated that the attendance at the viewing and memorial services will be extremely large. With this in mind, it is recommend that individuals attending any of the services carpool with other individuals to limit the number of vehicles. Contact Dennis Walton if interested in attending the funeral. He is going and if anyone wants to meet at his house in reading before hand. It is with deep regret that Local 302 announces the passing of former Fire Lieutenant Mike Kush. Mike, 75, passed away in his home Saturday, December 21, 2013. Mike was born on July 23, 1938. He started in the Allentown Fire Department on March 1, 1972 along with Charles Schmick. He was a former Vice-President of Local 302. After serving the Fire Department for 24 years, Mike retired as a Lieutenant at the Fearles Fire Station on July 27th, 1996. Mike will be remembered for many things. He was an avid hunter, and organized the annual Spring Thaw at Agricultural Hall at the Allentown Fairgrounds. His obituary, as it appears in mcall.com is below. Harold's passing was announced June 7, 2013. Harold was born on February 13, 1929 and was 84. Harold started in the Allentown Fire Department on June 2, 1956, and retired on July 19, 1980. Harold was well known to all firefighters, not just active and retired for he was the Fire Department Historian. Among the thousands and thousands of photos that Harold took, he was noted for publishing in 1992 the "Allentown Fire Department, Allentown Pa. First 125 Years." Joseph P. DAnnibale, 62, of Allentown passed away Monday, April 22, 2013 in the Lehigh Valley Hospice, 17th and Chew, Allentown. He was the husband of Priscilla A. (Lohr) DAnnibale, they were married 42 years. Born in Allentown, he was the son of Ruth DAnnibale of Allentown and the late Mario DAnnibale. He graduated from Allentown Central Catholic High School and Kutztown University. He retired from the Allentown Fire Department as Deputy Chief serving the city for 25 years. He was past President of Local #302 International Association of Fire Fighters. He served as former Vice President of the Lehigh Valley Labor Council and former President of Millbrook Homeowners Association at Lake Wallenpaupack. He enjoyed fishing, boating, hunting at Lake Wallenpaupack, and vacationing in Florida. Survivors:Wife, Priscilla; son, Joseph M. and wife, Christine, of Bethlehem; daughter, Lauren J., wife of James Hulings, of Macungie; daughter, Nicole M., wife of Bill Hartman, of Emmaus; son, Phillip of West Chester. Grandchildren, Zander, JonAnthony, Logan, Zoe, Michael, Ridley, and Zalen. Brother, Michael H. of Bethlehem; and sister, Nancy D. West of Allentown. Services:Memorial service, 11 a.m., Friday, April 26, 2013 at the Trexler Funeral Home, 1625 Highland St., Allentown, PA 18102. Calling hours 9 to 11 a.m., Friday in the funeral home.www.trexlerfuneralhome.com. Contributions: Allentown Professional Fire Fighters Welfare Local #302, 723 Chew St., Allentown, PA 18102 or American Cancer Society , 3893 Adler Place, Bethlehem, PA 18017. All proceeds to Help Cure Muscular Dystrophy ! A Georgia Bureau of Investigation probe of Columbus Fire & Emergency Medical Services records is resurrecting questions of whether the first engine at a 2010 home day care fire that killed one child and injured three others was understaffed. The questions aren't new. They were the subject of an internal fire department investigation sparked by firefighters' complaints that Engine 7 from Station 7 at 5343 Buena Vista Road should have had five firefighters instead of three. It was the first fire unit to reach the blaze at 5629 Mill Branch Road, off Amber Drive north of Buena Vista Road. The fire was reported at 1:37 p.m. Friday, Feb. 26, 2010. First responders described a chaotic, congested scene, with neighbors gathering on the street and parents rushing to find children. The one-story house was the westernmost of a set of homes tucked away off a paved semicircle on the road's north side. The arrangement left little room for parking. Lancaster Woman and girl die in fire, Firefighter seriously injured. A 6-year-old girl and a 38-year-old woman died in an intense fire in Lancaster early Monday. Three firefighters were injured — one critically — after the first floor of the home burst into flames. The fire broke out at 225 E. Madison St. shortly before 4:30 a.m. Four people were in the home at the time. A 42-year-old man and his 13-year-old son escaped the fire, said Fire Chief Tim Gregg at a press conference Monday. The two were sleeping in the basement of the two-story house. The woman and the girl, who were on the second floor, were not able to escape the flames. Gregg did not release the identities of the family members, pending an autopsy. Property records show the house is owned by Pauline Stone. The two firefighters were injured as they were fighting the fire on the second floor and it "flashed over," Wright said. That means all of the contents of the area went up in flames at the same time, as everything reached its combustion point. Firefighter Andre Kelley was in critical but stable condition after being flown to Crozer-Chester Medical Center for treatment. He was rescued by his fellow firefighters. Wright said he suffered second-degree burns. The son of a retired city firefighter, Kelley has been with the city fire bureau for more than 10 years and was honored in 2004 for helping with a rescue in the city. Firefighter Tom Benders, who was able to get down a flight of stairs and out of the house, was treated for injuries and released. Firefighters were continuing to search for the woman and child today. "They haven't been discovered," Wright said. "We are methodically going through the building. We are concerned about the structural integrity." The search was being slowed by the fact that the second floor collapsed into the first floor, Wright said. Fire officials also were still investigating the cause of the fire. The frigid morning air quickly turned water on East Madison Street into ice. Firefighters spread salt to try to combat the freezing. About 30 city firefighters and 30 to 40 others from outside the city extinguished the fire. Youell's Oyster House- Scene of a 3 Alarm, early morning blaze. Youell's Oyster House, sitting at 2249 Walnut St., in the City's West End was the scene of an early morning fire that quickly reached 3 Alarms and sent 5 firefighters to the Hospital. At approximately 4:00 a.m. the 4th Platoon responded to the 2200 block of Walnut St. for a reported structure fire. Upon arrival, Engine 10 Lt. Dave Arner reported heavy smoke visible. Fire crews initiated and offensive interior attack. Fire suppression efforts were hampered by bitter cold temperatures in the teens, and heavy winds that whipped and extended the fire. One interior fire attack crew was consumed by flames that sent two firefighters to the hospital. Both were treated for burns. One, a firefighter, with minor burns reported back to the scene. The second, a fire Lieutenant, suffered 2nd degree burns to a forearm and ears. Due to the fact that the fire consumed so much of the structure inless than 30 minutes into the fire, a 10-69 procedure was transmitted. A 10-69 procedure is an all out alert to on-scene personnel to evacuate the fire building and transform the offensive attack to a defensive fire attack. Sometime after the establishment of a defensive fire attack, Firefighters Tatum and W. Atiyeh were on a lower roof, directing fire streams into the windows, when the entire northern side brick wall collapsed upon the firefighters. Firefighter W. Atiyeh was thrown from the roof as a result of the collapse and his head struck the ground causing lacerations and a concussion. Firefighter Tatum was trapped beneath the rubble. Firefighters, including an RIT team, (Rapid Intervention Team) rushed to dig firefighter Tatum out from the debris. Firefighter John Burkhart suffered a sprain to his right ankle in the rescue efforts. All firefighters have been examined and released from St. Luke;s and Lehigh Valley Hospital. Due to the nature and extent of their injuries, 4 of the 5 firefighters will be unable to immediately return to work. As of 1430 Hours on January 22, 2013, fire crews are still on the scene. Beginning Monday, January 7, 2012. Local 302 will have open office hours every Monday (excluding holidays) from 0900 until 1100. An executive board member will be in the union office to assist any member who may need a union representative. If you need to fill out a form, purchase a license plate, have a question, would like to register a complaint, or for any other reason the executive board member will be able to assist you are refer you to the appropriate representative. The office will be staffed by a union officer who is not on duty so they will be they will not be interrupted by fire calls. This is a pilot program and will be evaluated after 6 months to see if it will become permanent. So, active or retired, if you have any needs for union services or just want to stop by and check in with a board member all are welcome. Your executive board is here to serve you. Compare ourselves to other struggling Fire Departments??? At last night's council meeting, the Administration compared Allentown's new staffing pattern to that of Reading, Pa and Bethlehem Fire Departments. Click this link to see what was happening in the City of Reading at the precise moment these comments were being made. On November 7, 2012 Allentown Mayor Ed Pawlowski unveiled his proposed 2013 Budget that institutes draconian cuts to fire protection for the Citizens of Allentown. Pawlowski's budget proposes to reduce firefighter complement from the 2012 budgeted number of 140 to 126. This reduction, spread out over 4 shifts equates to almost 4 firefighters per shift. Or One fully staffed Engine. This is the lowest level of fire protection in over 27 years (As far as available records reveal.) During this same period of 27 years, the Allentown Fire Department has seen an increase of calls for service of almost 350%. This budget proposal ensures that no engine in the City will staff the Nationally acccepted fire protection standard of four Firefighters per engine. This is not the first reduction of Fire Protection that Allentown Citizens have seen under Pawlowski this year. Immediately after receiving an arbitration decision in July 2012 that set the minimum staffing at 25 firefighters per shift, Pawlowski, though not required to reduce staffing, VOLUNTARILY reduced staffing levels. As a result, Engine's 11, 10 and Engine 13 no longer have the National Fire Protection Association accepted standard of 4 firefighters per apparatus. In fact, Engine 6 (when it is actually in-service) is running with 2 firefighters. In addition, Pawlowski eliminated an in-service Aerial apparatus. He eliminated Truck 1 from front line duty. Truck 1 is a 5 year old KME Aerialcat with $530,000 left in lease payments over the next five years. This elimation of an Aerial unit ensures that the Allentown Fire Department can no longer respond to high rise responses with 2-100' Aerial ladders. This elimination of available Aerial apparatus and staffing was evident on August 23, 2012 when, 78 minutes after the fire started, and 29 minutes after an evacuation of the scene was declared, the 2nd Aerial apparatus was put into operation for a defensive attack. In this instance, the Aerial unit was delivered to the scene by Allentown garage mechanics who responded to the scene in lights and sirens. This 854 N. 8th St. fire, with 24 firefighters on-duty (rather than the 30 firefighters.) in addition to damage to the fire building, saw damage to 4 other homes and sent 5 firefighters to the hospital. Lack of safe staffing was evident at a recent Chew St. fire, when searching by himself, Lt. J. Warmkessel, and a 2 year old victim became trapped on the second floor of the fire building. After both firefighter and victim escaped, the 2 year old was admitted to a local hospital suffering from smoke inhalation and burns. Prior to the proposed cuts, about half of the time, the City of Allentown could meet the NFPA 1710 Standard that provides for 15-17 firefighters be on scene, 90% of the time, within 8 minutes of dispatch. With the current cuts in place, and current response standard, the City meets that standard 0% of the time. This 8 minute standard is paramount because it is a nationally accepted standard that about 8 minutes after fire inception, the probability for fire flashover is such, that if seen, no unprotected living thing survives. The next step in the budget process is for City Council to hear the budget presentation department by department. Tonight, at 6:00 P.M. in City Council chambers, City Council will hear the budget presentation of theFire and Police. If paying for an Aerial that isn't in service, denying the East Side Citizens of a respectable fire response and fire station isnt enough, to add insult to injury the Mayor is proposing $5,000 raises to the top two department heads!!! It will be most interesting to hear what the Fire Chief says tonight. It is with deep regret that Local 302 announces the passing of former Deputy Chief Darwin C. Brunner. Darwin C. Brunner, 66, of Allentown passed away Friday, November 9, 2012 in his home. He was the husband of Rochelle D. (Getz) Brunner, they were married 42 years. Born in Allentown he was the son of the late Carl and Margaret (Reinert) Brunner. He was a member of St. Marks Lutheran Church in Allentown. Darwin served in the U.S. Navy during the Vietnam War. He retired from the Allentown Fire Department as Deputy Chief after serving for over 30 years. He was an Eagle Scout and was involved with Scouting for many years with Troop 11 and Cub Pack 9. He was a member of the American Legion, Allentown Fire Association and the Fearless Fire Co. He enjoyed trains and fishing, but most of all he enjoyed spending time with his family. Survivors: Wife, Rochelle; daughters, Jennifer L. Huff of Macungie; daughter, Stephanie L. Giniewski of Lehighton; son, Daniel C. and his wife Ammie of Kodiak, AK; brothers, Frederick W. of Allentown, David W. of Slatington; grandchildren, Daniel, Baylie, Carisa and Aidan. Services: 1:30 p.m., Tuesday, November 13, 2012 at Trexler Funeral Home, 1625 Highland St., Allentown. Calling 12 to 1:30 p.m. at the funeral home. Burial to follow at St. Marks Cemetery, Allentown. www.trexlerfuneralhome.com Contributions: Can be made in memory of Darwin to charity of ones choice. Candidates name appearing in RED indicates the winner of that race. A total of 110 ballots were cast. We would like to thank FF Cannon for coming out yesterday helping out with Danny McNeill s canvasing event. Due to his efforts we were able to represent Local 302 and accomplish the McNeill campaign s canvasing goals. The McNeill campaign thanks Local 302 for our support and efforts. The Fire Chief has notified us that New York City Fire Department is looking for assistance. Call Central to sign-up. Going in Seniority order. Firefighters primary duty would be generator operation and pump out. All firefighters would be in a pay status. Check back on this site for updates. Daniel McNeill's campaign could use guys for next Saturday and or Sunday to hang signs. We are meeting in Whitehall around 10 am. It would be good for us to have some guys show up. He's appreciative of our support. He is a retired union ironworker and is strong on labor issues. He is running for State Representative; Pennsylvania State House of Representatives; District 133. If you would like to help, get in contact with Adam Perreault at (484)-892-1787. It is with deep regret that Local 302 announces the passing of former Firefighter Joe Samusevich. Joe passed away on October 6, 2012. Joe started with the Fire Department on June 6th, 1949 and worked for the next 42 years, retiring in 1992. He was a Navy veteran of World War II. Services: 10 a.m., Friday, Dubbs Memorial U.C.C., 457 W. Allen St., Allentown. Call 9:30 to 10 a.m., Friday, in the church. Arrangements by Stephens Funeral Home, Inc. www.stephensfuneral.com. Contributions: In lieu of flowers, to the L.V. Burn Prevention Foundation, 236 N. 17th St., Allentown, PA 18104. Take an opportunity to view this video. It is over 12 minutes long. Can anyone, after viewing this video say that more firefighters on the scene would NOT have helped extinguish this fire sooner? I don't think any but a politician could say that more people wouldn't have helped. At 1:00 minute into the video you hear comm center make a report regarding fire in the rear of the structure. If there were more firefighters on scene, could suppression tactics been initiated sooner? You decide for yourself. 3 of 5 Hospitalized firefighters back at work after rowhouse fire in Allentown yesterday. After a midday fire yesterday in the 800 block of North 8th that sent 5 firefighters to the hospital for dehydration, exhaustion and overexertion, 2 of those firefighters although released from the hospital, are not medically cleared to return to work. Lt. Jim Saylor, Lt. Jack Bryant, Lt. Robert Xander, Lt. Michael Smith and Firefighter Steve Foulke were all treated and released at Sacred Heart Hospital yesterday. As a result of the injured firefighters not being medically cleared, the City is now working with 2 less firefighters today. (August 24, 2012). 8 below pre August 18, 2012 levels. If the same fire call went out today to that location, where the City initially had 12 firefighters on scene, today they would only get 10 firefighters! Allentown Mayor Ed Pawlowski denies the staffing shortage. He told 69 News that the number of structure fires has dropped in the past 10 years but the current contract only takes staffing numbers back to that of 2005. This statement is not accurate. In August of 2005 staffing did not drop below 25 men per shift. Since the change of staffing by Mayor Pawlowski on August 18, 2012, here is a partial picture of comparative staffing levels. As you can see, there is no time in 2005 that the staffing levels were the same. It is also important to note, the Mayor referenced 2005. 2005 was the first year in which there was a safe staffing mandate, and the contract provided for a ‘ramping' up period that was agreed to by the administration and Union. This "ramping up period" from 25 in 2005, to 26, then 27, then 28 in successive years was designed to minimize staffing through overtime, in favor of full time personnel. A review of the City's 2005 budget will reveal an overall department strength of 150 personnel. This 150 personnel was in EXCESS of the contractual requirement to have 140 firefighters on duty. The City, at that time, under another Mayor chose to fill staffing requirements with non-overtime personnel. This Mayor agreed in 2009 to raise the staffing level to 30 personnel per shift, but did not increase overall department strength. This resulted in record levels of overtime being needed to meet agreed upon staffing levels. This situation resulted in 43 firefighters retiring in 2011. Yesterday, as this fire raged on, we had a total department strength of 104 firefighters, with an additional 16 members who just started their 18 week training period on Monday, August 20, 2012. Be sure to pay attention at the 1:33 Mark. Allentown mayor Ed Pawlowski describes what it is like to do the job of a FireFighter. How quickly they forget what is was like to be in our shoes. 5 Firefighters hospitalized in 2+ Alarm fire at 854. N. 8th St. with 6 less firefighters on duty as a result of an administration reduction of on-duty personnel. Fire crews were dispatched to a noon hour fire at 854 N. 8th St. in the Center of the City that sent 5 firefighters to the hospital. Initial comm. center dispatch indicated that multiple callers were reporting heavy smoke. Immediately upon exiting the Fire Station, from more than a half mile away, Battalion command indicated heavy smoke showing. Upon arrival, fire crews assessed the scene finding heavy smoke and fire from the rear of 854 N. 8th st.
Fire Crews initiated an offensive, interior fire attack. Fire was immediately encountered from within the structure. Crews found heavy fire on the 2nd and 3rd floors and called for a second handline to assist in the interior attack. Initial alarm assignment was 3 Engine Companies, 1 Ladder, and one Command vehicle totaling 12 initial, on-scene personnel. (3 less than National Fire Protection Association standards of 15 first assignment personnel.) The fire quickly spread and has consumed at least 3 adjoining properties. 4 Fire lieutenants and 1 Firefighter were taken to Sacred Heart Hospital for treatment for elevated, irregular heart rythms, dehydration and exhaustion. 4 have been released and 1 is still receiving treatment. This fire comes less than 6 days after City administrators reacted to a recent Arbitration decision by Richard Kasher which reduced the on-duty minimum strength to 25 personnel. Arbitrator Kasher also ruled that any employee absence, other than vacation could reduce the 25 number. Today, the on-duty shift strength was 24 as a result of one non-vacation absence. Mayor Ed Pawlowski has reduced the on-duty strength to levels not seen since 1996. When, in 1996 fire call volume was 1/4 of what it is today. The Mayor did not respond to repeated phone calls, nor was he on scene, or at the Hospital. Fire crews are still on the scene, with the fire under control. Copyright © 2019 Allentown Firefighters, IAFF Local 302 - All Rights Reserved.